One of the new technology trends which I’m very excited about is 3D printing. 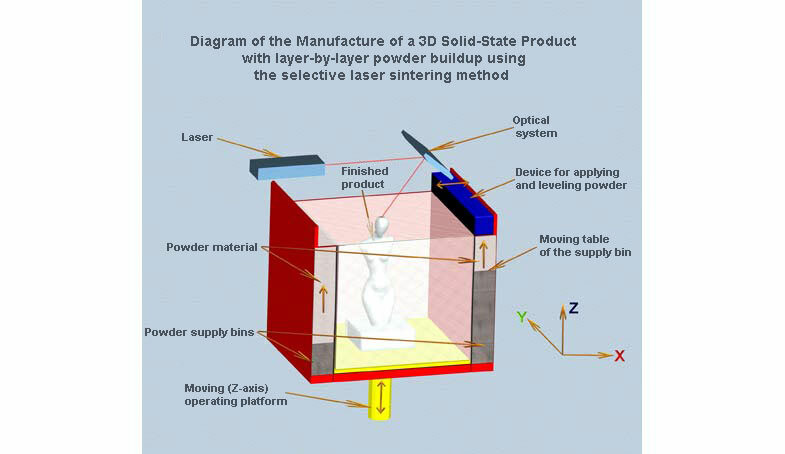 3D printing is the process of making of a three-dimensional solid object of any shape from a digital model, using an additive process where successive layers of material are added in different shapes (see Fig. 1 and 2 below). To be honest, this process still sounds a bit futuristic and abstract to me, but I do understand the main difference with traditional machining techniques which mostly rely on the removal of material through cutting or drilling (subtractive process). Create pharmaceutical drugs – The use of 3D printing to enable patients to print out their prescriptions could potentially transform the pharmaceutical industry. A team at Glasgow University have developed a process to synthesise chemicals through 3D printing. This team has come up with a very complex but innovative solution: building a multi-layered “cake” of reactive chemicals, reversing the order in which these layers might usually be laid down. 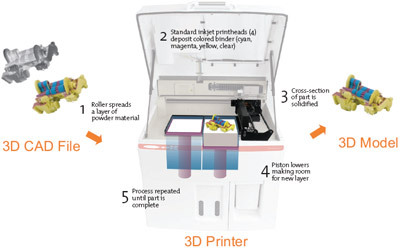 As soon as this cake finishes printing, the molecules from the top of the layering work their way through the other layers to kick off the desired chemical reaction. Print food – When you think that you’ve heard it all when it comes to pretty wacky applications of 3D printing, think again! Researchers at Cornell University (see Fig. 4 below) and at NASA have created prototypes around the idea of printing “digital recipes” whereby 3D printers will combine powders to produce food. 3D printing already works quite successfully when it comes to making chocolate, so who knows what’s next?